Airplane Crafts for Kids - Look! We're Learning! Children of all ages love airplanes. There’s just something about the idea of flying through the sky that sends their imaginations soaring! 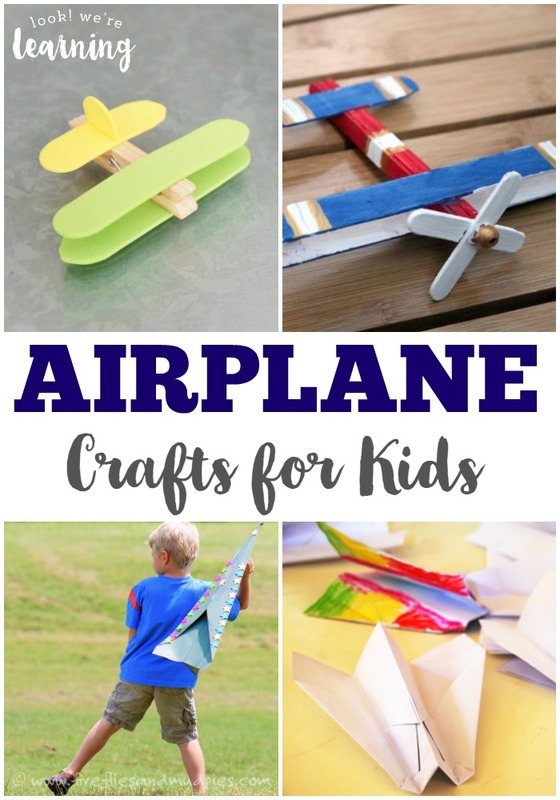 So I rounded up 25 airplane crafts for kids that are fun, easy to make, and let kids “fly” just as high as they want! 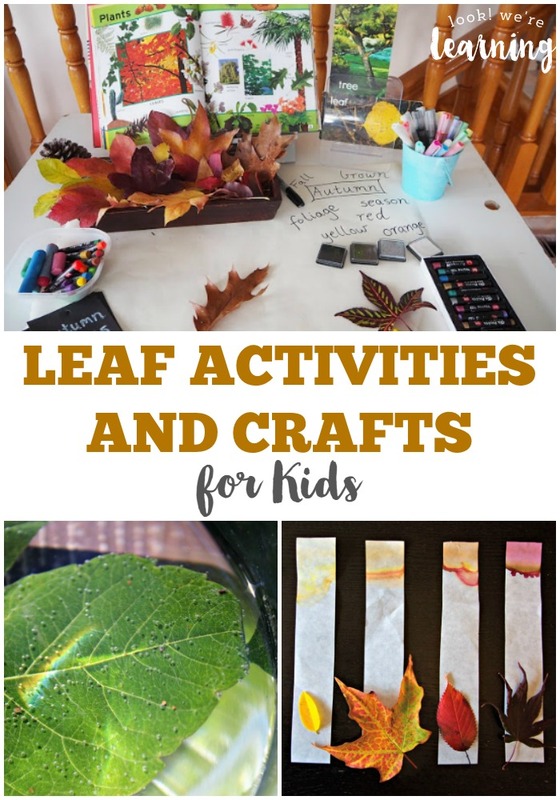 If you love these, don’t miss our list of 25 leaf crafts or our list of Charlie and the Chocolate Factory crafts for kids! 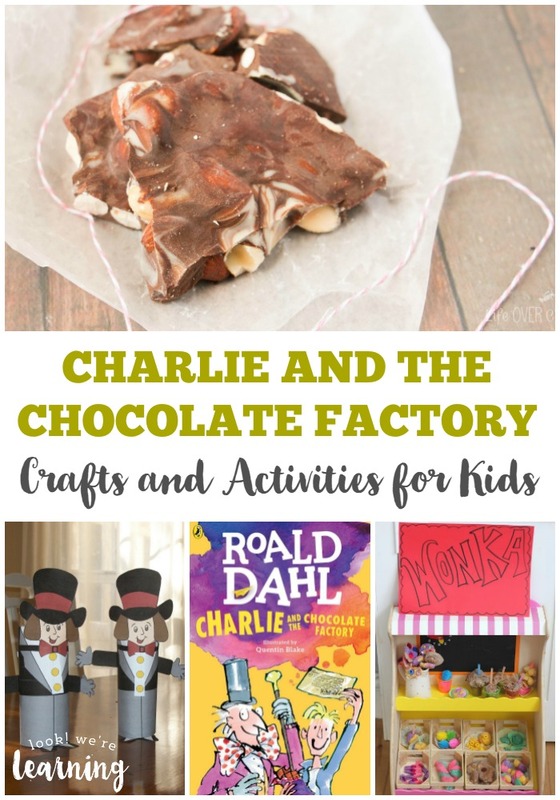 Don’t miss these other crafts for children! 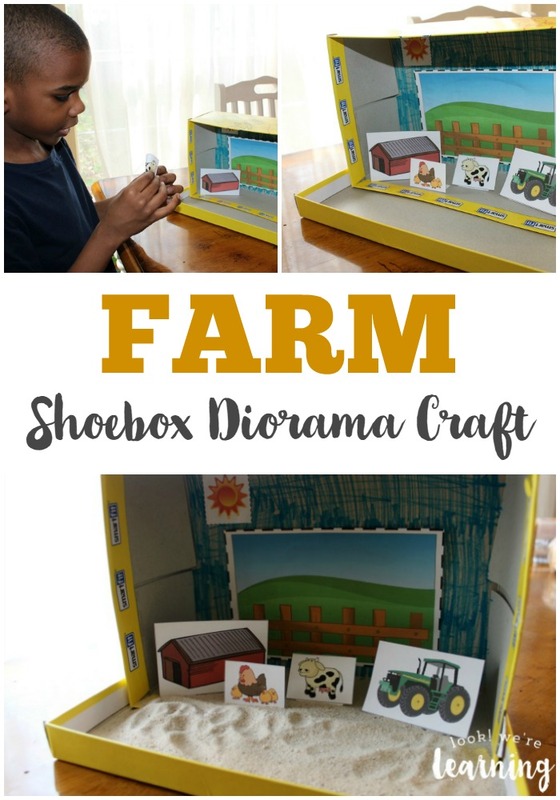 See more fun crafts for kids to make on my Simple Crafts for Kids Pinterest board! 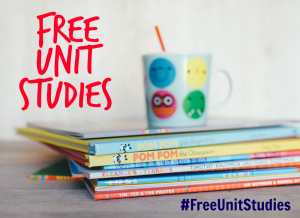 This post is part of the Free Unit Studies blog hop! Stop by to read more fun airplane posts from these bloggers! 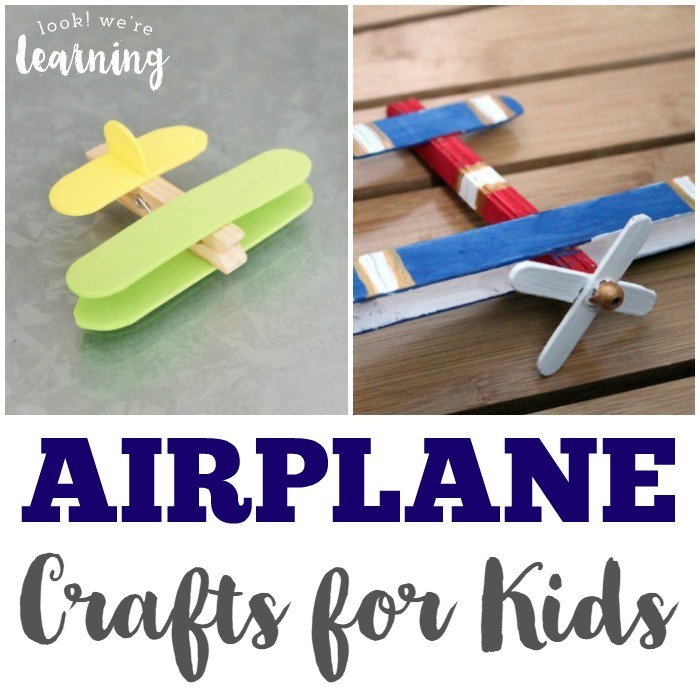 Airplane Crafts for Kids from Look! We’re Learning! Pinned so I can keep coming back to this to try out each one. Selena, thank you for including my sensory bin! Pinning this great round up for later!